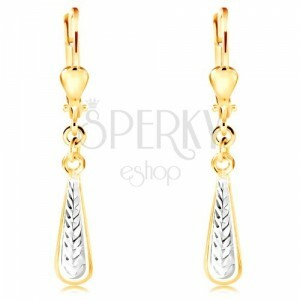 585 gold earrings, tear decorated with a line of engraved tiny leaves and a layer of white gold, lever back fastening. 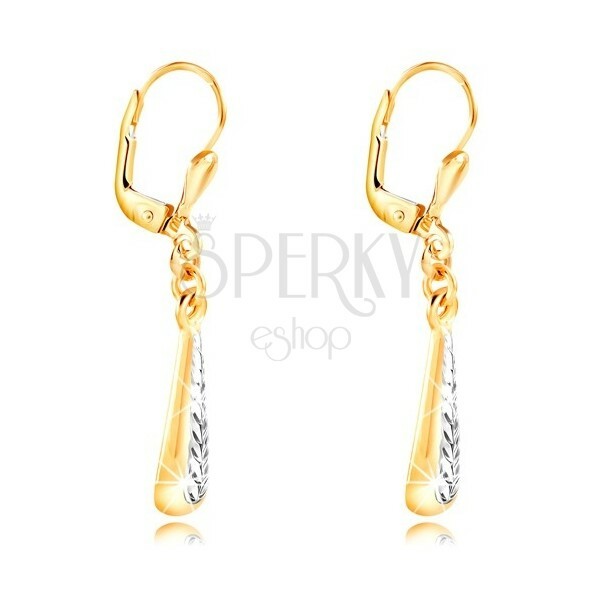 By buying this product you can collect up to 80 points as a voucher of $21.60. Your reward points. 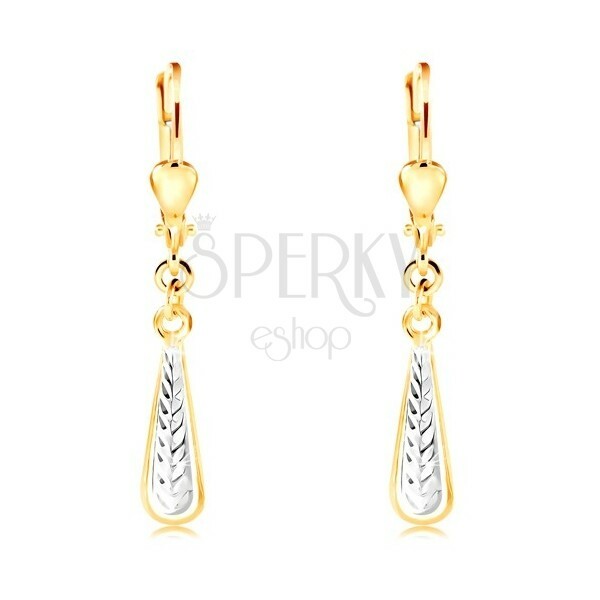 Earrings made of 14K gold have the shape of a shiny thin drop that is at the front part decorated with indents in the form of small leaves. The back side of the drop is straight, shiny and smooth. 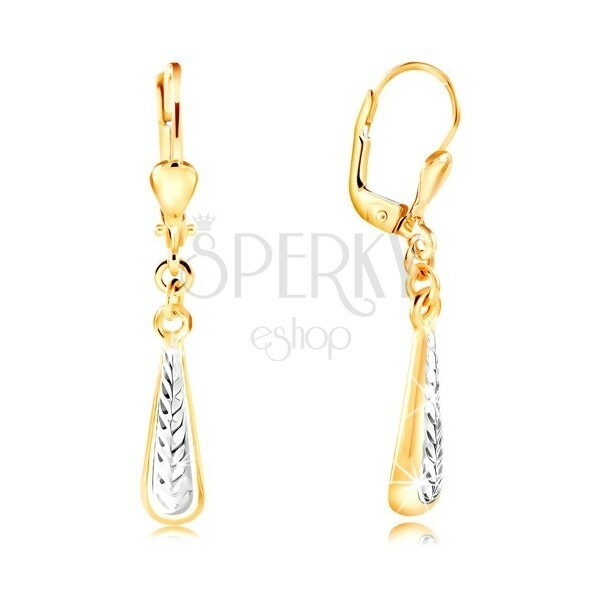 The earrings have lever back fastening with a small reversed drop at the bottom part.